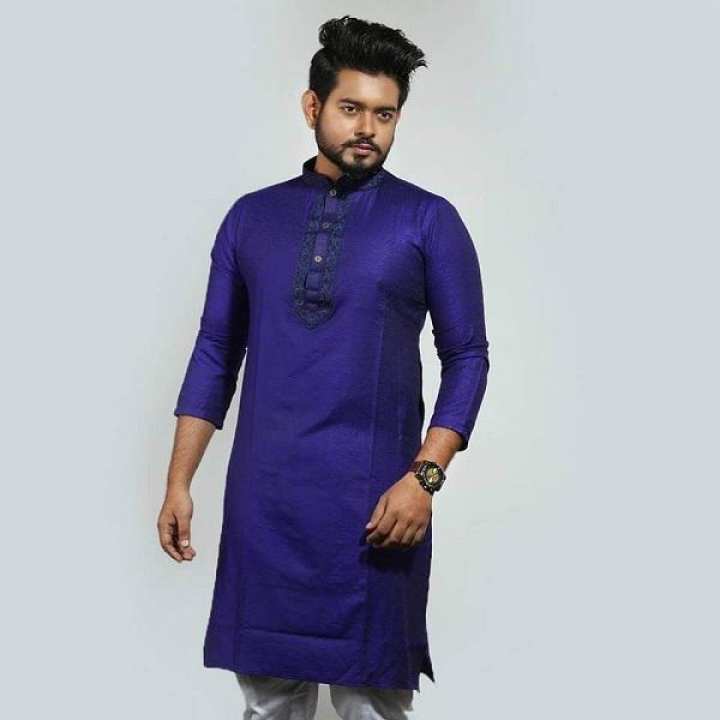 This blue cotton semi long panjabi is associated with long sleeve. It will hang on your body, provide comfortable to wear and helps to express yourself in so many ways. The body to keep you comfortable and perfect long sleeve semi long panjabi for casual wear. Traditional clothing panjabi which can be worn for just any occasion, a casual day at work or for a fun-filled weekend.